Your Browning Trail Camera warranty covers your trail camera for one year from the date of purchase. We warrant that your camera will be free from defects in workmanship and materials when operated under normal use and conditions. This warranty will allow Browning Trail Cameras, at its discretion, to repair the product or replace it with a new or refurbished unit. 1. Neglected or abused (including, but not limited to water damage caused by submersion, battery leakage or improper storage). 2. Modifications or repairs by unauthorized agents. 3. Damaged cameras that have cracked or broken outer cases due to excessive impact, heat or mishandling. 4. Damages caused by wild animals. 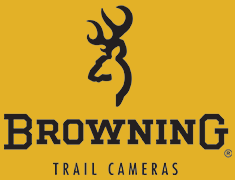 In the event warranty service is needed, contact Browning Trail Camera's customer service who's information is provided below. Our knowledgeable agents can help troubleshoot any issues with your trail camera. In the event your camera needs to be returned for service, our agents will provide the warranty return form needed which contains all instructions and the return address. You will also need a copy of your receipt, or proof of purchase for warranty service. You are responsible for the packaging of and shipping cost to our warranty center.